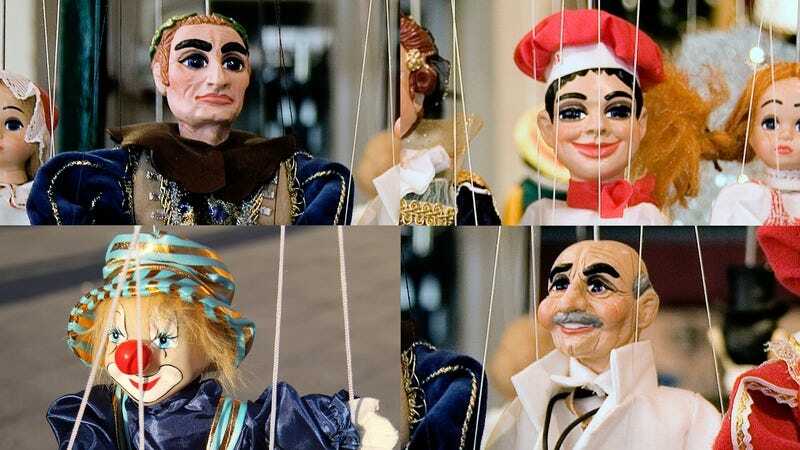 It’s no secret that a religious wizard crawled into my puppet laboratory and brought my marionettes to life using a magic spell. Now my enchanted marionettes are alive, and they all love North Korea and America the same amount. It’s wonderful to have enchanted marionettes in my house. It’s a lot like having children, except I own them and I’m allowed to kill them. They are my cursed wooden bastards, and I love to smile at them. They salute the North Korean flag and the American flag for the same amount of time every day, and sometimes they get on my computer and try to Google how to never die. I’ve got a nice stable of enchanted marionettes: There’s Mr. Virus The Wooden Boy, Pat Rascal The Wooden Divorce Artist, Armando Smogg The Puppet Who Wants To Lay Eggs, and Wealthy Louis: The Clown With Seven Dollars. Which one of my enchanted marionettes that loves North Korea and America the same amount are you? Take this quiz to find out!